You live in Nantes or spend the holidays in the city and are looking for activities to keep your children? The first thing you need to do is to know the desires and tastes of your children. This will allow you later choose what is best for them. Nantes offers various distractions during the holidays. Use this time to spend time with family. The Castle of the Dukes offers unparalleled performance with the Creatures Exhibition held annually in the local. Make it a ride to your children discover a wonderful world or the world having fun, singing and dancing. It is also an opportunity for you to strengthen your relationships with your children. No more unproductive holidays; places to learning! Teach your children to enjoy their free time to learn the techniques of making wood games. Nantes is organizing a workshop or all children learn the carpenter. For several days, you and your children bricolerez together to make a wooden game of your choice. Offers Christmas is coming! 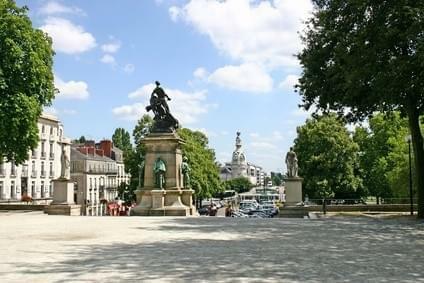 If you are passing through the city of Nantes. Do not forget to visit the Circus Christmas. You will surely have fun in carting the Clowns, attending stunning acrobatic performances, not to mention Santa Claus will be at the rendezvous. Go to the stand of cotton candy and treat your little ones time of a day. It is especially the little kids love it of Zoos and animal parks. To satisfy them, take them to a park where he can get to know all kinds of wild animals. The Deer Trail, Garden Kangaroos or the Croque Garden are parks that you can visit with your little ones. Have a good time playing Bowling with your children in one of these clubs Nantes. You can introduce them to this game coming straight from the States in one day. Nantes Atlantis bowling or bowling Erdre, you decide the room you like. A small part of Bowling, anyone? To meet the inhabitants and tourists of Nantes, the competent authorities of the city make available annually a large ice rink or young and old can have fun skating on ice. There will also be a pit toboggan run open to everyone. Romping guaranteed! Check out the latest releases of movies, cartoons and documentaries in the family room Gaumont Pathé Nantes. A movie in one of the rooms in which the group has certainly appeal to your children.